The baking room is made of aluminum alloy box, which can shorten the baking time. The temperature measuring system is used to control the temperature of the heating system. Realize the baking process temperature monitoring and the timing of the beans. High temperature glass observation window in the center of roasting room. After a lot of experiments, the method of the lower bean, the baking finish, the hand net flip to shake can all pour out the roasted coffee beans, and the device can also act as a smoke extraction effect. Step 1: weigh 100-200 g coffee beans, pick out the defective beans, load the roasting room, cover the top, insert the thermometer, and card the buckle. Step 2: start baking and shake hands during the baking process to achieve uniform roasting. 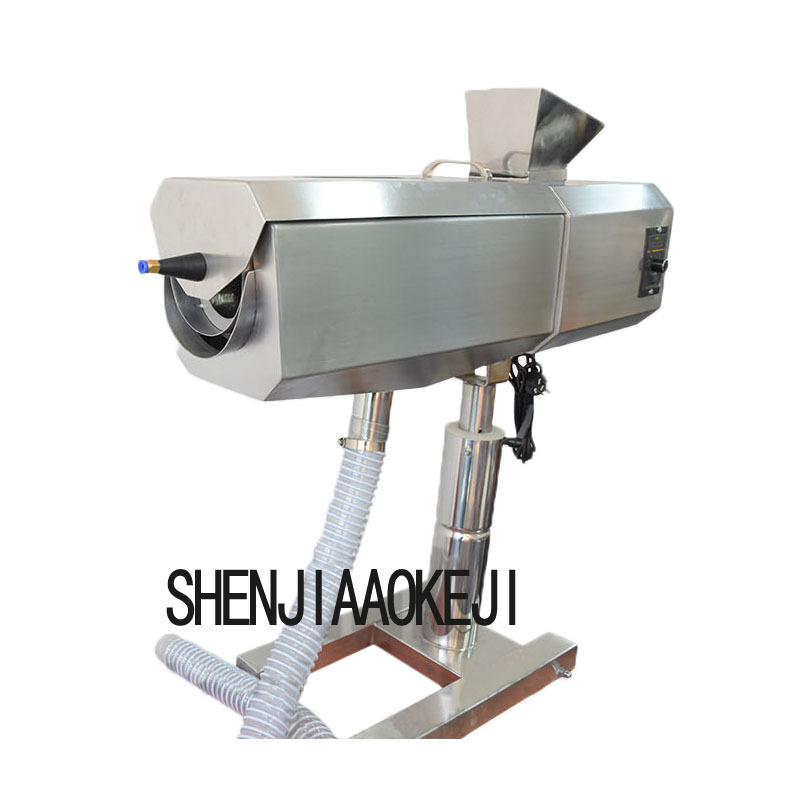 The speed of shaking should not be too large, so as to ensure a comfortable roasting process. Step 3: about 10 minutes or so, the temperature rises to about 190 degrees, and it goes into a burst, shortening or lengthening the roasting time according to your preferences, and thus getting the different roasting levels of the coffee beans. Step 4: lower the beans, resell the net, shake, and the roasted coffee beans will flow out of the roasting room and quickly cool the coffee beans to retain more flavor. Step 5: clean the hand net and clean the storage equipment so as to avoid the coffee oil stains and other pollutants.